Whether you’re at work, commuting to work, or just walking around the city, it’s important that you always look the part. Walking around with a tacky rucksack is a sure-fire way of looking unprofessional. Get a top quality briefcase. Instantly, you’ll feel like you’re living a real life episode of Mad Men, looking like you’re worth a million bucks. The problem is, you probably don’t know what separates the best briefcases for men from the worst. That’s where we can help you. 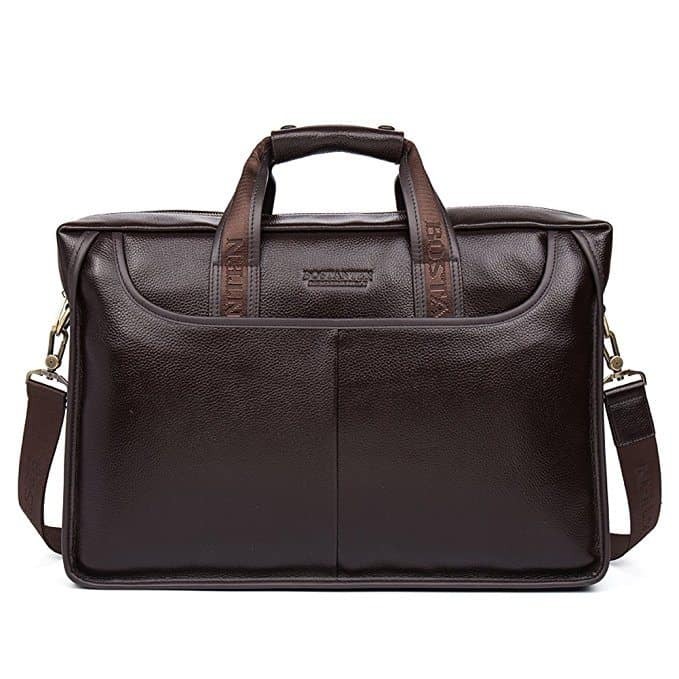 Ones like this Samsonite Leather briefcase combines style, comfort, and practicality to bring an oozing sense of professionalism into your life. In this article, we’ve taken our time to compile a list of the 9 best briefcases for men. We’ll also give you a list of things to consider before making your purchase, and give you the rundown on how to take care of it after you’ve made your purchase. Briefcase or messenger bag. how do you tell the difference? How did we choose the best briefcases for men? To be completely honest, the price is something that you should always consider when looking for a new briefcase. A briefcase, if you’ve chosen the right one, should last for a very long time. 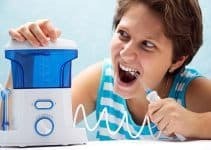 This’ll be your new partner-in-crime, and you want to make sure that you’re paying for the quality that you’ll be happy with. For the greatest quality briefcases, then you can expect to be paying some serious dollar. For example, the best high-end briefcases will cost you more. Because they’re made from top quality leather materials. Top quality leather will last for years. It shouldn’t break down, tear or wither away. You’ll be paying for an investment that will pay you back over a long term basis. On the other hand, you may be coming into this article with a specific budget in mind. If that is the case, then you can still get yourself a great deal. Bluntly, you should always look at buying the greatest quality you can with the budget in question. 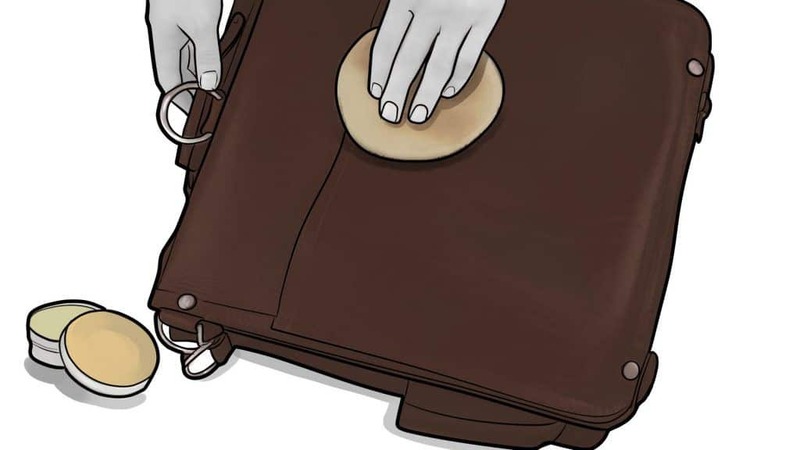 To do this, you’ll need to look at the material and durability of your briefcase. We don’t want to put potential buyers off, but a cheap, super budget briefcase may feel like a great idea initially, but you’d hate to be replacing it just a year or so later. Especially when you could have paid double to have it last 5x as long. The quality of your briefcase needs to be top. It’s the same for anything you buy, but for briefcases, we really mean it. The best quality briefcases will actually get better with age. That’s because they’re often made from leather. This means that you can use the same briefcase for up to a decade, and you’ll still be walking around looking as professional as ever. Maybe even more so. Every leather case can tell its own story, and that’s because over time it’ll become stained and worn in ways that no other case will. Thank yourself later and invest in a high quality briefcase today. The benefits don’t stop there. The best leather will be durable, flexible, and not to mention the visual representation of professional. You’ll love walking around with a top quality leather briefcase, because you know you can rely on it, and you know you look great carrying it. You can’t lose. If you’re looking for something that is more weather-resistant, then you can get a top quality nylon. This’ll last for years too, and you’ll have no problem with looking professional. As we’ve already mentioned, the majority of briefcases are made from either leather or nylon. However, it’s important to know the difference and what the pros are of each. Leather materials differ, and will often differ from briefcase to briefcase. Here’s a quick run-down. You’ll either get full grain, top grain or split grain leather. Starting with the most expensive and quality, full grain leather ensures you are getting the best every day. On the other end of the spectrum, split grain leather will give you a great alternative, but it won’t last nearly as long as the full grain. The downside of leather is that it requires some serious upkeep. You will have to look after your briefcase like it is your first born if you choose leather. In terms of nylon, you’ll be able to get some real top quality versions of it. The US Federal Gov use nylon as one of their primary durable materials, so you’ll definitely be getting a good, sturdy briefcase. Nylon is better for men that don’t want to spend any time polishing or cleaning their case. It’ll be easy for them to just throw down after work and not worry about it until the next day when they’re carrying it again. This may sound silly. You’re probably thinking: Why does comfort matter? You don’t wear briefcases? But you need to make sure that you’ve got a padded upright handle, or at least one that’s made from a quality, comfortable material. Why would you want to walk around carrying something that’s giving you callouses. Plus, most briefcases these days include detachable shoulder straps that do allow you to wear them. With this newfound knowledge, you’ll definitely want to look out for additional comfort. Looking out for excellent durability is hugely important with a briefcase. You want to ensure that you’re getting a top quality item that will be a worthy investment. The best briefcases can last years, and that’s why you need an item that’s durable. Buying once is almost certainly better than buying twice. There are a few dead giveaways for what makes a durable briefcase. Firstly, the hinges. If your briefcase has sturdy, rust-free and oiled hinges, then you’ll probably be good to go. Avoid any that could stiffen after a few months of intensive use. Secondly, you can get durable handles. Look for handles that are padded, secure and carefully attached to the case. The last thing you need is to be strutting your professional walk down the office for your handle to completely detach from the rest of the case. Thirdly, check the interior. Shabby interior design can really let down your briefcase. After all, you want your things to fit inside undamaged and secure. Overall, you just need to look out for a briefcase that has been produced to last years. The briefcase that you choose to buy will depend on the purpose that you’re getting it for. If you’re a lawyer or a banker then you’ll probably be using it to store your papers. For you, we’d probably recommend getting one that’s a bit bigger so that you can fit more inside. If you’re just looking for a professional case to take to your office job, then you may just want one that’s a bit smaller. This will make it easier to carry, and ease the decision making process. For those of you that will be needing the briefcase to travel and carry electronics, then you definitely need to look at purchasing one with enough padding to keep your things safe. If you’ll be going places by airplane, then look at the best travel briefcase. This will typically be security checkpoint approved, meaning that you won’t waste any time at the airport emptying your tightly packed briefcase. Another thing to keep an eye out for is the added accessories. Having an extra external pocket or pouch for easy access can be exceptionally useful for men that are in a rush, or traveling, as you never know when you’ll need to grab pen and paper. Alternatively, you may need some added security and want a briefcase that has a padlock included. All in all, whether you go for a hard or soft shell, black or brown, big or small, all depends on your personal purpose and requirements. Think about them carefully before rushing into a decision. As men, we’re often fed up of the question: Does size matter? With briefcases, yeah, it does. And as a bonus, bigger isn’t always better. It honestly just depends on your preference. If you want to have a heavier, bigger bag so that you can fit more inside of it, then that’s what you go for. Similarly, if you don’t need to store that much, then you can go for a smaller one. Just pick a size that has enough interior space for your needs. If you need to carry your laptop, papers, pens, pet tortoise and the kitchen sink, then you may need one slightly bigger. It really depends on what you need it for and how much stuff you’re going to be putting inside of it. When you’re shopping for a backpack, for example, you’re not really thinking about your daily outfits when choosing a color. More often than not, you’ll just go ahead and pick out whatever you think looks the nicest. You can’t quite do that with a briefcase. You want to look professional, and coordinated. Not childish, and spontaneous. Fortunately, briefcases are pretty limited in the colors that they come in. You’ll often only be afforded three options: Black, brown and tan. All three are professional to begin with, so that’s your first box ticked. Secondly, you need to look at what you wear on a daily basis. A tan, or brown color briefcase will go better with navy color combinations. So, if you wear navy suits on a regular basis then this’ll look great. Not only that, but they also provide a nice change from the all black look that a lot of men will wear. Speaking of which, you can opt for black leather if you’re just looking for a professional briefcase that will go with anything. You really can’t go wrong with a black briefcase. It’s classy, subtle and will go well with any outfit. Crafted from genuine leather, this briefcase brings a wealth of comfort, style and practicality. It is sure to be durable, the zippers are metal and the handles are padded. The target audience for this briefcase is simple: Businessman. It’s made for men who want to look and feel professional to, from and during work. For those that fancy being hipster, you’ve got the option of a padded, removable shoulder strap that just adds an extra layer to the convenience level of the case. You’ll no longer have to carry it around. This briefcase also has a huge array of compartments that really does make your life easier. Instead of a single compartment, you’re treated to a whole range, including an organizational front pocket that is perfect for all of your business necessities – like pens, cell phones, and any loose documents. You’ve also got plenty of room inside the main compartments to fit your important work and laptop, so you can pick up this briefcase safe in the knowledge that it’ll fit all of your things. 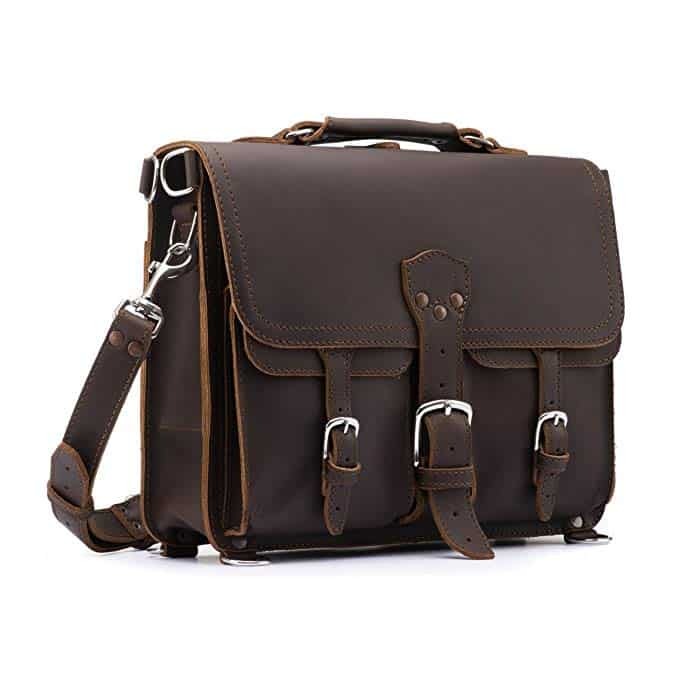 This leather briefcase is ideal for men who want to feel professional at work. Coming in a black, it looks stylish and has enough space for everything you need. This briefcase is made of genuine thick cowhide leather, ensuring that you’ll have a professional appearance. Coming in four different colors, you have the choice between tan, dark brown, burgundy and black. Each one of them look like professional options, and we really feel that you’ll look good carrying any. The inside of this bag has laptop padding, but it’s not that thick, so you’ll still have to be careful and conscious about potentially damaging it whilst moving around frantically. On the whole though, this briefcase certainly combines style with practicality. Reviewers have noted that it’s a great bag even for casual use. So if you want to look professional on a daily basis, whether it’s at school or just general use, then this could be a great option. It has a multifunctional carrying option. If you want to, you can make use of the adjustable, padded shoulder strap. However, this can be removed and carried as a regular briefcase. The briefcase comes with a one year quality guarantee. By 12 months you should be able to tell if you’ve got a durable product or not, so you’re at least covered for that first year. This is an all-purpose leather backpack that is as stylish as it is practical. You’re able to look and feel professional regardless of your activity with this briefcase. This hard-shell briefcase takes you back to the movie stereotype. You know, where the villain slaps the square, hard briefcase on the table to reveal 10 million in cash. This is in that style. You’ll be walking around feeling as professional yet fashionable as you can get with this briefcase. The case is large, but the handle is comfortable, meaning that you won’t get any aches or pains from carrying it for long distances. It’s expandable, meaning that you’re able to carry a streamlined bag when it’s empty and then you can bring out the file folders to store more papers when it’s needed. In terms of safety, you’ll benefit from a dual combination lock system that prevent it from being tampered with or having your valuables stolen when leaving it around – unless they just decide to take the entire briefcase. As it’s an old-school design, you must be careful of the interior, as there’s a lack of padding that will certainly cause your laptop to take a few hits if you’re carrying it around. Perfect for lawyers, bankers, etc. Take it back to the basics with this old-school briefcase. You’ll be able to take advantage of a huge amount of interior space and a hard-shell exterior, making it a great choice for lawyers or general businessmen. This nylon briefcase is made to be convenient, comfortable and elegant. It’s a water resistant fabric that makes it perfect for outdoor use. The zippers and pockets are durable, and you’ll have a padded comfortable carry handle to hold onto. It’s made for multi-purpose, and the compartments offer independent, open spaces for your laptop, phone, camera, passport and keys. It’s easy to find what you need, when you need it, and it has a large capacity making it ideal for work, school or travel. The color combinations are all stylish, and you’ll definitely look and feel professional with this briefcase. You’re also afforded with the option to compress this case. It can shrink or expand two full inches with the expansion zipper, giving more or less room whenever you need it. This practical and professional briefcase is a fan favorite for its durability and timeless design. Made with quality sturdy fabric and with practicality in mind, it’s an excellent choice. Made with genuine full grain Colombian leather, this briefcase is sure to make you feel and look like an absolute boss. Not only that, but it will age beautifully, meaning that this briefcase will become your cherished, customized favorite for years to come. With this case, you’ll be making the most out of a modern, thoughtful design produced with mobility and practicality in mind. It is designed with pioneering features and high quality material, making it suitable for the traveler, businessman or fashion icon. The compartments are made to make your life easy. You have a main compartment for your primary documents whilst you can make the most out of the 15 inch laptop compartment if you need to. The external compartments are big enough for keys, phones and wallets. For those of you a bit more paranoid about your belongings, this bag is full of innovative anti-theft features, meaning that you’ll be kept safe at all times. A genuine full grain leather is always going to be a winning decision. This’ll be a great looking briefcase that’ll be yours for the foreseeable future. This zip closure briefcase is the epitome of style. You’ve got high quality genuine cow leather with polyester lining, giving you a bag of excellent quality. They’ve kept this quality assurance right down to the smallest details. The zippers and other hardware parts are made of retro brass alloy, making the briefcase even more luxurious. Pleasantly, you’ve got a selection of color and size. You can choose from small, medium or large briefcases in either a black or a brown. With this level of customization, you can get a briefcase that you really love. Inside, you’ve got loads of compartments and pockets, meaning that you’ve got the ability to carry as many things as you’d like. From laptops, to sunglasses to Chapstick, you’ve got a pocket for it all. This is a well constructed genuine leather bag that will last a while. The pouches can fit whatever you like. The bonus? You’ll look and feel professional using it. For those of you wanting to feel like you’re living out of a Mad Men episode, then looking for a vintage briefcase could be for you. This bag from KPL is crafted from high-quality genuine leather and durable lining. The leather is ethically sourced, meaning that you’re not going to ever feel bad about owning it. Plus, 80% of the processes that go into making the briefcase are done by hand, so you’re really getting some proper high-quality craftsmanship. The look is vintage inspired. If you want to look and feel professional, going the full way with a vintage look is one guaranteed way of ticking those boxes. Further, it has a removable shoulder strap and has concealable locks under the straps. The lockable inner section keeps your contents secure. Speaking of which, you’re able to fit your laptop, files, folders and more inside of this bag, making it perfect for business. KPL have produced a briefcase that is ethical, largely handmade yet still practical. You’ll be getting the best of both worlds with quality, ethically sourced leather and a professional style. This Saddleback Leather Co briefcase is an expensive option, but that’s for good reason. It’s made from the highest quality materials that you can find on a briefcase. From the 100% full-grain leather, to the marine-grade polyester, you have durable, expensive quality all the way through. The design itself is a thing of beauty. It will look fantastic in business, at school or during travel. You’ll always feel professional carrying this around, as it looks great. They are so confident in their products that they even offer a 100 year warranty. They believe that this briefcase will outlive its owner. With those figures, you can be sure that they truly believe their briefcase will survive any conditions you try and throw at it. For those of you that don’t want to carry it all day, this briefcase actually converts to a backpack with some detachable straps, meaning that you can relieve some of the pressure from your hands as soon as you’re out of sight from the office. This is one of the best high-end briefcases on the market. It’s comprised of the best quality materials out there, and it will outlive you, meaning that you’ll just be paying once for the rest of your days needing a briefcase. For any travelers or day trippers, this briefcase is the dream. Made from quality nylon, it is a budget option that looks stylish and serves its purpose pretty well too. It has a fully padded laptop compartment meaning that you won’t need to worry about it getting damaged in transit. Speaking of transit, this briefcase benefits from a Clamshell CheckFast design, allowing you to speed through airport security without having to rummage through your belongings. Solo also offer an unstoppable 5-year guarantee. So, even at the low, budget price point, you can sleep easy knowing that you’ve got a briefcase they believe in. If you’re just looking to look and feel professional at a low price point, then this could be for you. It’s minimalistic design means that you can look great carrying it whilst saving the big dollars for another day. If you’ve read this far, then we can assume that you’ve successfully gone out and gotten yourself a quality, professional briefcase. But the next step is making sure that it remains looking professional. By taking care of it in the best way possible. This’ll keep it looking fresh, and ensure that your investment will last a long time. Now that you’ve finally bought your briefcase, you don’t want to have to buy another because you didn’t look after it well enough. That’s the thing with leather goods. They’ll age with time. The natural ageing process of leather can actually give a lot of character and a unique edge that makes your briefcase look even better, but there’s a fine line between having this effect and one that’s beaten and broken. So, here’s a few things you can do to stop your briefcase from looking like it’s had a hard paper round. If you’re anything like us, you live in an area that can go from sunny to rainy in a blink of an eye. Most of us can be prepared for it, but your briefcase probably cannot. You can apply a waterproofing product, but first you should apply something that’ll lock in the natural moisture before making it waterproof. If you don’t want to use a waterproofing product (and it’s fine not to), then you should be aware that you’ll just need to let your briefcase air dry, not heat or blow dry. You can easily damage the leather by trying to hurry the process. Just let it take its time each time it gets a bit wet. One thing that men stereotypically lack is patience. We’ve all been there. But with your briefcase, you’ll want to make sure that you are careful and considerate of all times. Making sure that you spot check any maintenance products before applying them to your case is preferred. The last thing you want is your boot polish to completely stain and change the color of your briefcase. Please, just make sure that you’ll be making changes that you’ll love, and not hate. Just like men, a leather briefcase requires a beauty regime. You may forget to do your own facial moisturizing on a weekly basis, but you really shouldn’t forget to do briefcase moisturizing. For everyday fixes, you can just use a small amount of oil to keep the leather well hydrated. If you like to do your moisturizing once every so often, then approach them as you would a pair of leather shoes: Use a leather-specific cleansing and moisturizing product for best results. If you’re prone to bumping into things or having a lapse in concentration and throwing your briefcase down at the end of the day, then you’ll be sure to start getting scratches and marks that don’t look too professional. The best way to combat scratches is to stop them from appearing in the first place. 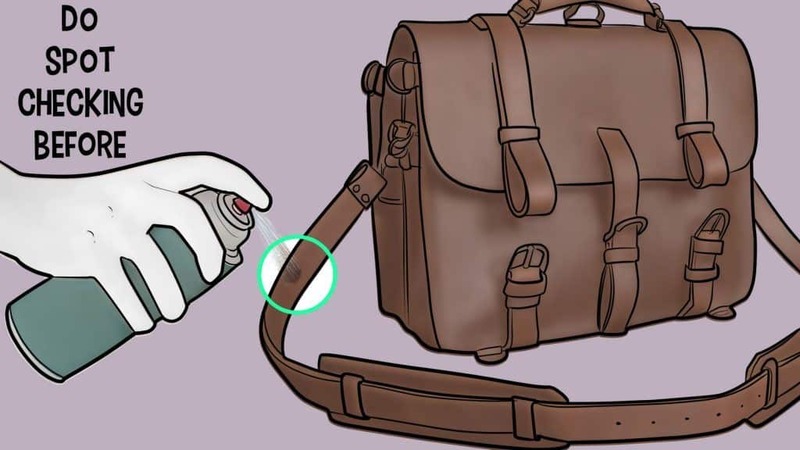 You can do this by applying a polish to your briefcase on a regular basis to produce a protective and thick moisturized layer that will prevent any minor bumps from taking its toll on the visual appearance of the case. 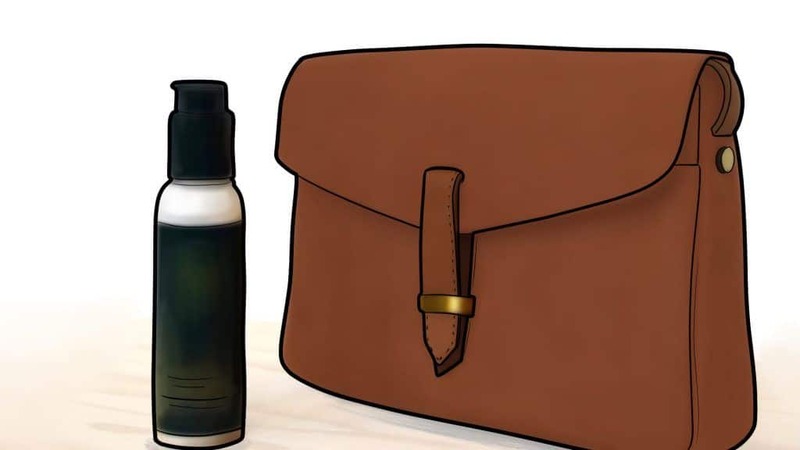 If you’re here because your briefcase has already taken a bit of a beating, then you’ll want to apply a small amount of oil before wiping it way with a cloth. If they are still visible, then return to the polish and try to fill in the areas that have become discolored. So all in all, there’s a range of things you can do to look after your briefcase. The best advice we can give you is to start following these tips religiously from the moment that you get your case. Like regular men’s grooming, you don’t want to start just because it’s too late. 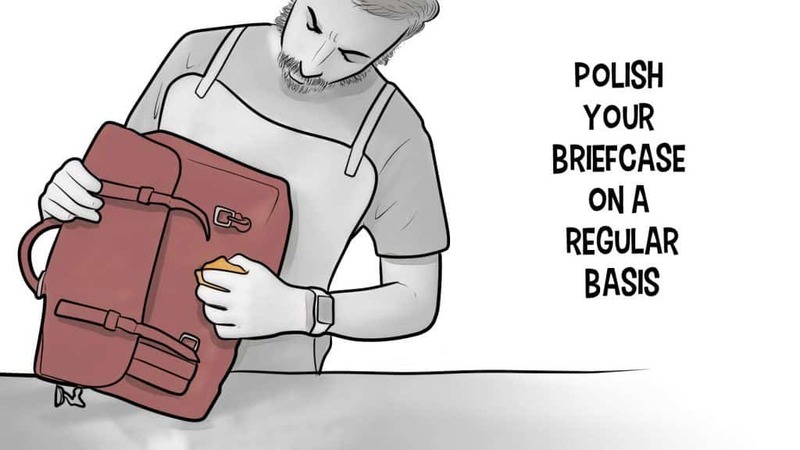 You’ve spent the last 10 minutes researching and reading about different types of briefcases. But when you go and look on Amazon, you see messenger bags pop up in the same search. Well, it’s because they’re actually pretty similar. They have many properties that are identical, and it’s not unusual for the lines to get blurred and for people to mistake one for the other. Without dragging this along any further, let’s get into the nitty gritty, and see the differences between the two. First of all, as has been the general theme for this entire article, briefcases are designed to be professional. That is to say, they’re definitely a bag that is more formal, and meant to be used in situations that call out for professionalism. The dead giveaway? The name. It’s called a briefcase. Lawyers and bankers used them to carry legal briefs around in a safe yet fashionable way. Of course, times have changed now, but they’re still a more professional bag. A briefcase will also be carried by the handle. Unlike most bags these days, you’ll almost always be carrying your briefcase by your side at the handle. This is what separates a briefcase from most other bags. Lastly, a briefcase will typically only have one or two compartments. Newer briefcases have more, and some additional pockets, but the classic, traditional briefcase will be carried at your side, by the handle. To start, let’s talk about the messenger bags purpose. It’s a slightly more informal version of a briefcase. It’s still mostly used for work and professional situations, but can also be used at school or just for a day trip. A messenger bag is designed to have a strap that goes across your body, or over your shoulder. This allows you to walk around with your bag hands free, unlike a briefcase. Messenger bags are also easier to get in and out of, and will rarely have all of the straps and safety clips that come along with a briefcase. To summarize, a messenger bag is very similar to a briefcase but with the added bonus of a shoulder strap. Earlier on we discussed a list of things that need to be kept in consideration when choosing a briefcase, and we made sure to follow our own advice. Primarily, we wanted to find briefcases that were worth their price tag. 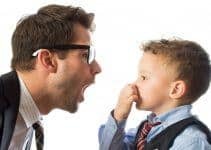 Each man will have a different budget that they’re willing to spend, but you need to know that what you’re paying for is worth it. Just because the briefcase is more expensive, does not mean that it is better, and that’s why we chose a wide selection of price ranges for our briefcases. Other than that, we were mostly interested in quality of materials and durability. Our rationale for that is because the majority of those with briefcases are looking for a long-term purchase that will allow them to look professional for years to come. So there we have it, we were looking for a combination of classy, affordable, durable briefcases that are well worth the initial investment. The 9 briefcases we found are the ones that tick all of these boxes. 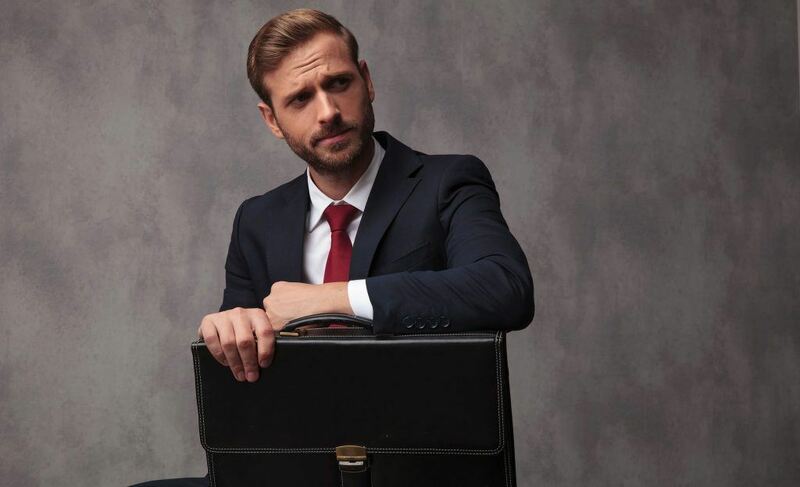 It’s hard to imagine being a professional without having a bag that suits, and that’s why we fully understand why a lot of men still love briefcases. They’re a great choice for those looking for a way to store their items whilst maintaining style and class on an everyday basis. That’s why we wanted to produce this article and let it be a one-stop shop for those looking for a new briefcase. We’ve included advice on how to buy, what to look for and how to keep them clean. All of our choices are made with professionalism in mind, so we’re sure that you’ll be impressed with any of them. If you’ve got a favorite briefcase that we haven’t listed here, then we’d love to hear from you. Similarly, if you’ve got any cleaning tips that we didn’t have time to consider, we’d open to finding out more.